A series of tournaments and meetings with players dedicated to the 70th anniversary of the Great victory continues! 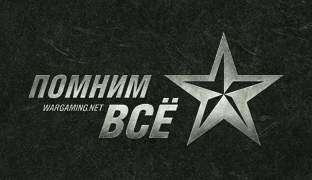 The next stage of the competition the company Wargaming will hold in Voronezh. Players will have the opportunity to participate in the qualifying rounds and the winners of all team tournaments series converge in the final online battle on the eve of the Victory Day. Narrator: Resident Stand Up Comedy Stalevar (Alexander Netishinsky) . Announcer: Tank popular blogger Gabriel_ange1os. Come forward to all! Opening of registration – March 27 . Closing registration – April 3 at 21:00 local time (UTC + 3) . Start online qualifiers – April 4 21:00 local time . Start offline games – April 11 at 12:00 local time . Location: Voronezh, st. Park, 3, City Park “Grad”, the main concert hall Event-Hall . Basically, the team must have at least six people of Voronezh and Voronezh region. During the tournament in social networks will be held a special competition. Subscribe to our profile Instagram Take a picture from the event, put it in your profile with the hashtag #worldoftanks #voronezh #portretpobedy, show photos employee SMM-department directly at the event – and immediately get a bonus code. Subscribe to our Twitter , make a tweet that illuminates the event, with the hashtag #worldoftanks #voronezh #portretpobedy, show tweet SMM-employee department – and get a bonus code. “remember everything” – a global initiative organized by Wargaming in late 2013 and aimed at promoting Military History Museum in the world in the preservation and restoration of the legendary military hardware.